In recent years, the addition of a home elevator has become increasingly popular because of the many benefits it can add to a homeowners’ property – and pocket. Whether it’s for convenience, to address mobility issues, or to add a luxurious touch to your home, installing a home elevator is less complex and expensive than you think. Here are three reasons why you might consider adding one to your home. If you live in a multi-story home, climbing up and down the stairs may provide you with some extra exercise but it’s not super fun when you are lugging laundry or moving furniture between floors. And if you were to experience a mobility issue or invite your elderly parents to live with you, stairs really become an issue. 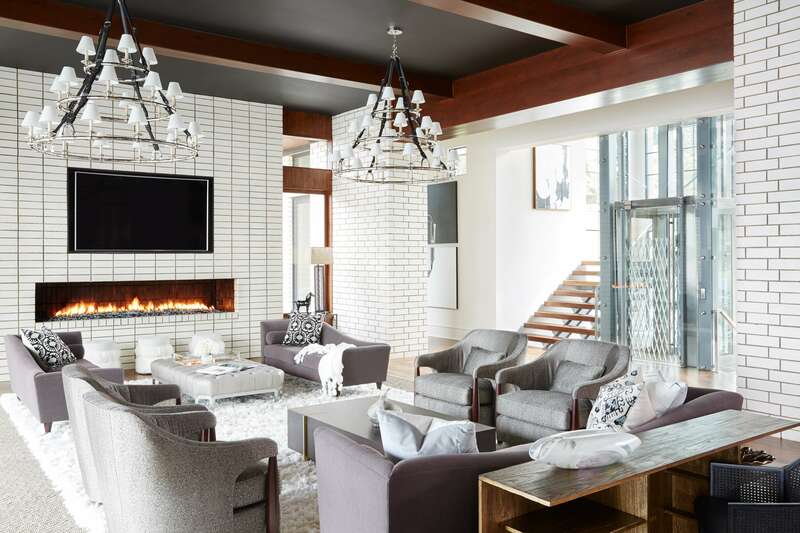 Once in place, a home elevator connects the spaces of the house more easily, offering additional convenience and accessibility for the entire family. A Residential Elevator can carry up to 950 pounds in a maximum 15 square-foot space. With a home elevator, you can get where you want to go and what you want to get done in seconds so you can spend your time doing what matters most – spending time with your family and enjoying life. If you are thinking your home doesn’t have space to add an elevator, think again. A home elevator often doesn’t take more space than a closet and takes less space than a staircase. A Residential Elevator can be built across the foundation as it’s a mostly vertical installation that fits cleanly against already existing walls, while a staircase has a larger and bulkier footprint.  In addition to the guarantee that our home elevators will last the entire duration of a home, a Residential Elevator can also increase the length of time a homeowner can continue to live in their beloved multi-story home. One accident, no matter what age, can mean the end of someone’s ability to stay in their home if they are unable to access a significant portion due to a staircase. The safety provided by a home elevator is far greater in comparison to a staircase and gives family members peace of mind that their loved one is safe and secure. Safety is also an issue for small children who can easily fall on stairs but can be safe on an elevator. Investing in a home elevator adds a unique benefit that excites future buyers and attracts a larger portion of the market. As an example, waterfront condos have a greater resale value when an elevator is installed because of their population of retirees. The required footprint of a home elevator is often no larger than a well-placed closet. By stacking closets, homeowners can wait to install their custom cab until they believe it’s needed for accessibility or they would like to add value before selling a home. All it takes is the thoughtful placement of closets for an elevator to easily be retrofitted into an existing home. In addition to the practical benefits of a home elevator, luxury continues to be a major appeal. Residential Elevators offer many different styles and designs to enhance the look and style of any home, and our state-of-the-art technology offers a smooth, quiet ride. Elevators are a physical and metaphorical lift for a property, giving them an air of elegance. Through custom craftsmanship, we can design the elevator of your dreams. Glass windows can also be installed in these side panels for a great view on oceanfront properties. For anyone looking to increase the usability, the value, and the status of their property, call us at 800-832-2004 for more information and a quote.